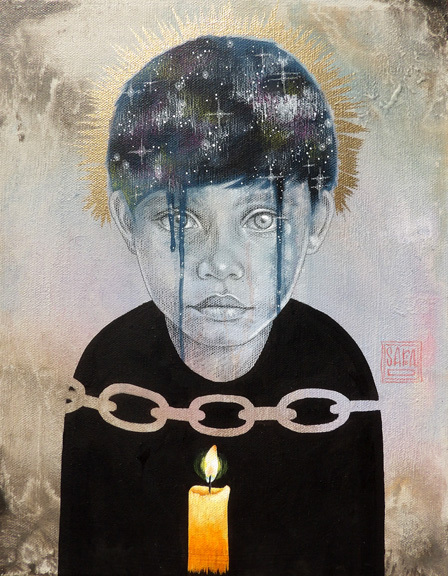 Luz Art/ IFAF will be presenting an exhibition that provokes conversation about the epidemic of human trafficking. This attack on innocence has made thousands of adults and children seemingly disappear, never to be found. With support from human trafficking relief organizations we are seeking to bring attention to the many missing persons who are exploited. A collection of art works by artists, Sara Dresher, Kay Chernush, founder of Art works for Freedom, Marianne Lettieri, Micah Salinas and Julian Curi. All works are available for purchase will fund anti-trafficking relief organizations.